Favorite après Castle Haunts and Hangouts from the earlier years! 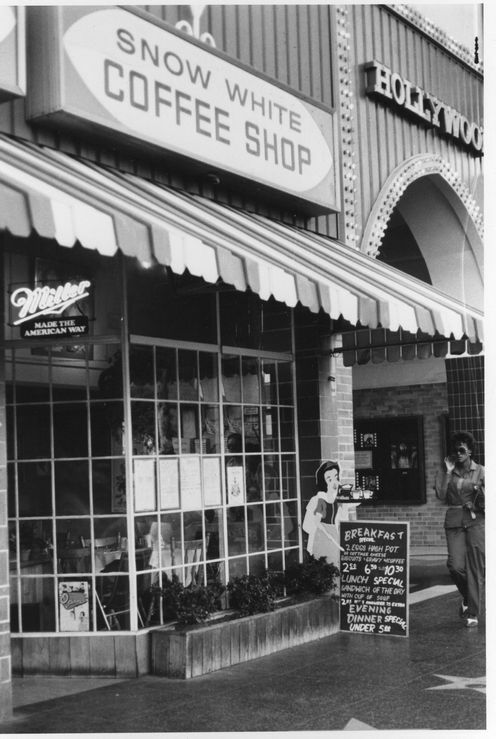 I received an email from Steve Valenti in which he described his late night/early morning visits to the Snow White coffee shop with Johnny Platt. This particular greasy spoon probably holds many a magical memory. The clientele were as bizarre a bunch of misfits as you were ever likely to meet. Believe me the magicians who visited were the least weird! The Snow White was (I think it still is!) 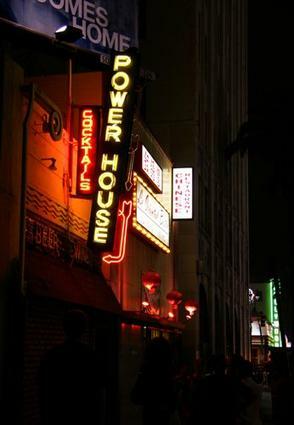 located on the end of Hollywood Boulevard nearest Highland and just around the corner was the Power House Bar, which was something of a spiritual partner to the Snow White. Johnny had patronizing the Power House Bar for many decades and somehow failed to notice that it had turned into a biker bar. Steve recalls him and Johnny being the only two people in the bar without tattoos. It was often the case that the very best Magic Castle moments weren’t actually in the Castle at all. When the final drink was served, the front door locked and your car retrieved the next decision was where to go for coffee. There was quite a selection of suitable establishments in the vicinity and I think I explored them all. If you were lucky enough to have McComb in the group then you tended to head to the ‘Rock & Roll’ Denny’s on Sunset, which is not to be confused with the ‘Riot’ Hiatt also on Sunset. Billy would drink cup after cup of java and tell tales of magic that kept you awake just as surely as the strong coffee. Billy’s usual meal was an English muffin and scrambled eggs and when the time came to refill his coffee cup he would often balance the empty cup on his head to attract the waitress’ attention. For Billy telling stories and drinking coffee required nicotine and the biggest battle was usually over how he obtained his nicotine fix in these various non-smoking establishments. As in most things in life Billy had a system. He would pull out his pipe and start puffing away at the Old Bruno ready rubbed shag with which it was filled. He carried his lighter in a small pouch around his neck to speed up the whole process. Within a few minutes a waitress or manager would arrive and point out that smoking was not allowed. With the uttermost charm Billy would apologize and then as soon as they walked away would carry right on smoking his pipe. When they returned to repeat the request Billy would apologize profusely and as soon as they walked away he would light up a cigarette. Usually the cigarette went unnoticed for a while due to the pungent odor of his ‘Old Bruno’ still wafting in the air in blue clouds. When the management returned to complain about the cigarette Billy would innocently reply that he thought it was just pipe smoking that was forbidden. 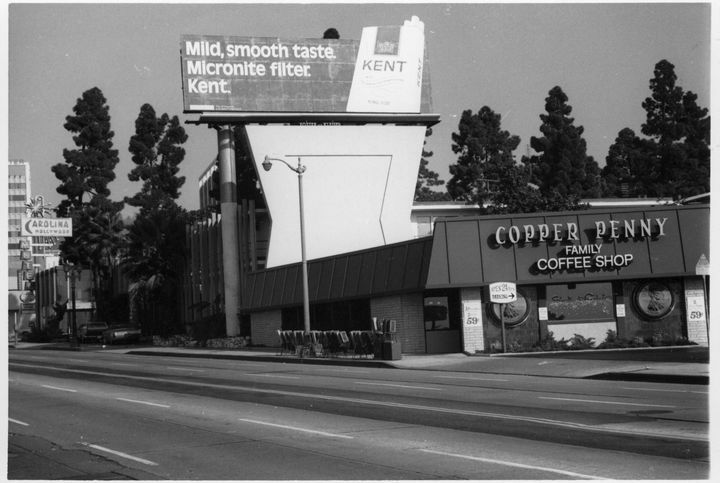 My other favorite afterhours coffee shop was the Copper Penny on Hollywood Blvd. where I would often spend the wee hours chatting with my dear friend Jules Lenier. I would always run Jules home from the Castle and we never could quite finish our conversation before the end of the brief journey. We would end up at the Copper Penny talking magic and eating English muffins covered in butter and liberally sprinkled with salt. Jules would perform close-up mindreading effects to impress the waitress and sometimes threaten to demonstrate his hypnotic abilities. I never actually saw Jules hypnotize anyone but he always swore he could and I almost believed him. Well, this is just a couple of my favorite places and people from the past. Don Lawton, Jack Hurlbut and Mickey O’Malley were other fabulous late night raconteurs who enlivened the post Castle early hours. Don’t even get me started on late night hot dogs from the amazing Pink’s stand in Hollywood. They are a tale to themselves. ~ by Nick Lewin on April 7, 2016. Fantastic tales. Truly magical memories. We are lucky old souls. Thanks for reminiscing! I remember a few of the interesting places in Hollywood back in 1976 when I was working at “Oscars” on the 23rd floor of the Holiday Inn on Highland avenue. Jules, Joe Berg, the “Larry Edmonds Bookstore” and so many others made living in a hotel for 4 months tolerable! I do hope you go back to some of the eateries like the “Pig and Whistle,” just down the street from Ken Brooke’s Magic Place. I’m sure there are some interesting stories that were created in those places!